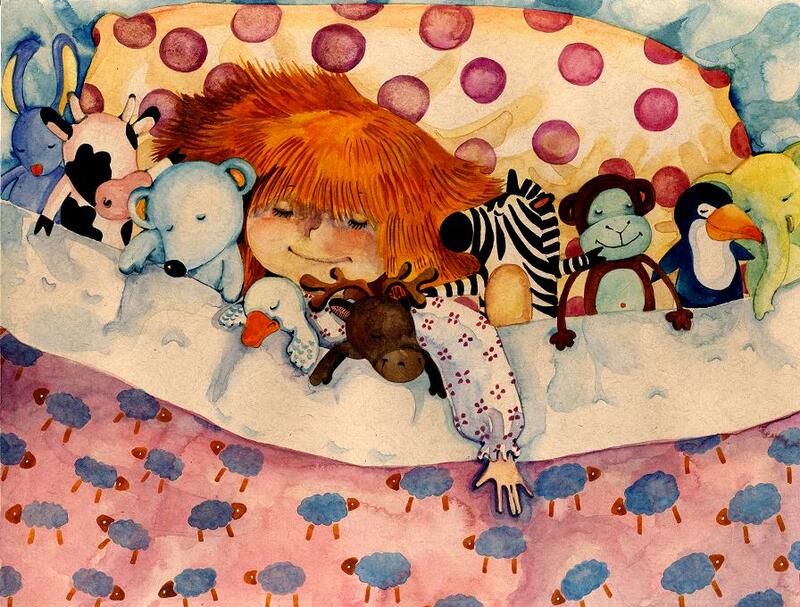 “The Animals Sleep” is a beautiful bedtime story by Thomas Heffron & illustrated by Lina Safar, to be published soon from the American Society of Sleep Medicine ASSM. The book is part of a new educational campaign that will inform kids about sleep and healthy sleep habits. Along with picture books, ASSM are developing lesson plans and resources for teachers to use in the classroom. The idea behind this book is that it will use children’s love for animals as a hook to get them thinking about sleep, while the content also will easily cross over into science lessons. Each spread describes a different biome or ecosystem where various animals live and sleep. So while each spread shows some sleeping animals, a major emphasis is on showing the variety and diversity of the nature landscapes. on the ASSM official website and on Amazon !